The DAP-2660 Wireless AC1200 Simultaneous Dual-Band PoE Access Point is designed to support small to.. The DAP-1665 Wireless AC1200 Dual Band Access Point is a fast and versatile solution for bringing wi..
Super-fast Wireless AC Performance The DAP-2695 delivers reliable, high-speed wireless performance ..
Don’t compromise your Wi-Fi. You don’t need to pay an arm and a leg for strong, reliable Wi-Fi! With.. 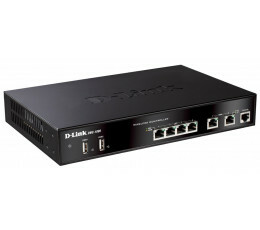 The D-Link DWC-1000 Wireless Controller is a centralised wireless LAN manager developed specifically.. The DWL-2600AP Unified N Single-band PoE Access Point is a best-in-class indoor access point designe..
Next Generation Connectivity Harness the power of Wireless AC and take advantage of combined wirele..
Overview The DAP-2330 is an 802.11n ceiling/wall mount Gigabit PoE Access Point, ideal for wireless .. The DWL-8600AP is D-Link’s next generation Unified Access Point supporting the IEEE 802.11n standard..